Is New York any closer to legalizing recreational marijuana? Cuomo was opposed to recreational marijuana for years. Just last year, he called it a gateway drug. Then in January, he announced a new study that would consider what legal recreational use would look like in New York. Last month, Cuomo said that study could be done within days. Meanwhile, his Democratic opponent strongly supports it. BUFFALO, N.Y. – President Donald Trump has expressed support for legislation that would protect states that choose to legalize marijuana. Trump made the comment Friday at the White House, saying he'd likely back the bill introduced by two senators that would overturn the federal laws that still ban the drug. Also last week: Canada took another step toward legalizing marijuana use after its senate voted in favor of legal marijuana. So where does New York stand on the issue? New York has decriminalized marijuana use to some degree, and medicinal marijuana is legal - but for years, Governor Andrew Cuomo was opposed to recreational marijuana. Just last year, he called it a gateway drug. Then in January, he announced a new study that would consider what legal recreational use would look like in New York. Last month, Cuomo said that study could be done within days. Lieutenant Governor Kathy Hochul says it's still ongoing. "I don't think whether…it's in a month or five more days that it's going to make a difference, because we're going to get the right answer. And it's going to be right for the people of the State of New York,” Hochul said. Hochul says she's aware that New York is surrounded by places with changing policies. Vermont and Massachusetts already allow it. If it happened here, how would it be regulated? "I can't say exactly how it would happen, because I will tell you when it is unveiled, there will be an enormous amount of detail that will be released at that time,” Hochul said. Hochul says the state will not be rushed by political pressures. However, it's worth noting that gubernatorial hopeful Cynthia Nixon – Governor Cuomo's Democratic opponent – is strongly in favor, saying in a Twitter video recently that Albany has lacked the political courage to do this sooner. 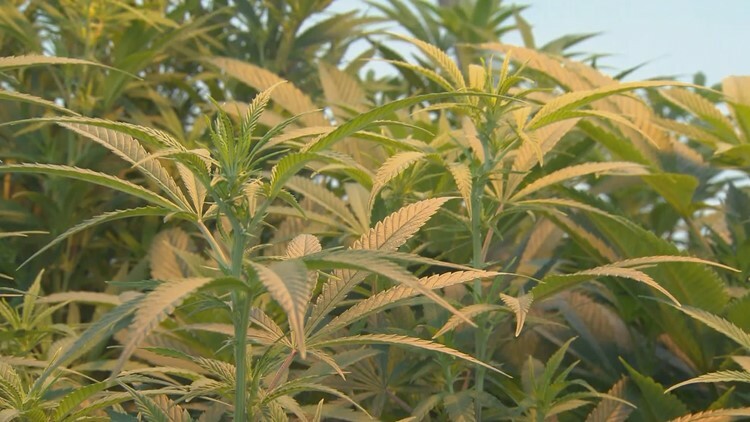 "Regulating and taxing marijuana would generate hundreds of millions of dollars of tax revenue for our people and create important agricultural opportunities for our state,” Nixon said in the video. Cuomo’s opinions have certainly evolved over the years, so where does he stand on the issue today? “I think we're very open to the idea, and I think it's important to know that opinions evolve. I mean, we had alcohol banned at one time in our country because that was viewed as something that was an evil,” Hochul said. In May, the New York Democratic Party backed legal marijuana.